As a child, I became quite obsessed with protecting the environment. My school folders were covered in stickers declaring things like, 'Save the Earth!' and 'Recycle, Reduce, Reuse! ', and I found myself writing school paper after school paper on ways to protect the environment, save the animals, increase our social responsibility. Perhaps, it started with my love of Captain Planet, but whatever it was it was most certainly something I was passionate about at a young age. As I got older, I always remained somewhat eco-conscious, but the somewhat militant attitude certainly died down tremendously. When I became a mother, I again began taking a look at ways to live more naturally and create a better environment for my kids. It seems with each passing year, I have become more and more aware of the chemicals we are surrounding ourselves with- the products we use in our household through cleaners, medications and even beauty supplies. In the last year or so, my family finally said enough is enough and have really made the effort to do what we can to make our home more earth friendly. With Earth Day quickly approaching, many more of us are taking this opportunity to take a look at our own lives and evaluating the measures we take to live a more natural and healthy lifestyle. Perhaps one of the first steps we can take is switching out all of our chemical heavy products with products that are better for the environment and free of harmful ingredients, so I took a quick trip down the road to our local Walgreens store to stock up on some great products from their Ology collection. To be honest, when I first starting making the switch to more chemical-free options in our home, I didn't give our personal care products quite so much thought. After all, these were items made to go on our skin, they could not be THAT harmful, right? Wrong! After my daughter was born and we discovered she had extremely sensitive skin, I was forced to take a better look at the ingredients within our mainstream products. They didn't have all the crazy warning labels as our household cleaners had, but they certainly had just as many unknown and unnatural ingredients. So, we have put in the effort to detoxify our beauty routines as well. Ology skin and hair products give that gentle nourishment we need to feel naturally beautiful, without the addition of harmful chemicals, parabens or sulfates. I most love the White Pear & Cucumber Shampoo and Conditioner, as I've found reasonably priced, chemical-free hair care to be among the hardest to find! Okay, so paper products many not be as riddled with chemicals as our cleaning and personal care products can be, but they are still not the most earth-friendly option...all this disposable product just ends up straight in the garbage. Sure, there are reuseable options for most paper products, but let's just be honest here some of them are just not ideal. As much as I want to create a healthier, more earth-friendly home for my family, the idea of cleaning reuseable toilet paper from myself or my husband...just not my cup of tea. More power to those that can, but I- like many- simply cannot. 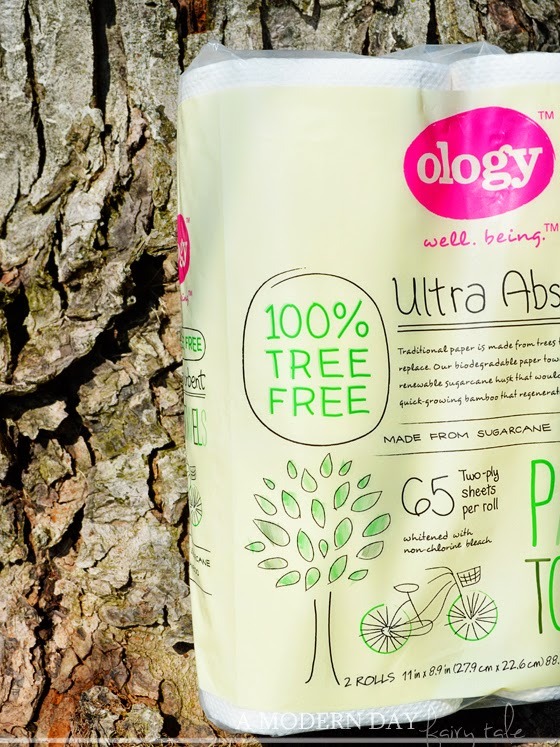 But with Ology paper products like paper towels, bath and facial tissue, I can still use more natural products while still having the convenience of disposable. Their paper products are 100% Tree Free! Instead they are created from readily renewable sugar husks that would have been disposed of anyway, as well as quick-growing bamboo. Unlike trees, this bamboo regenerates in as little as six months making it a much more environmentally friendly option. They are also super absorbent, soft and strong...and the toilet paper is still septic safe and biodegradable. 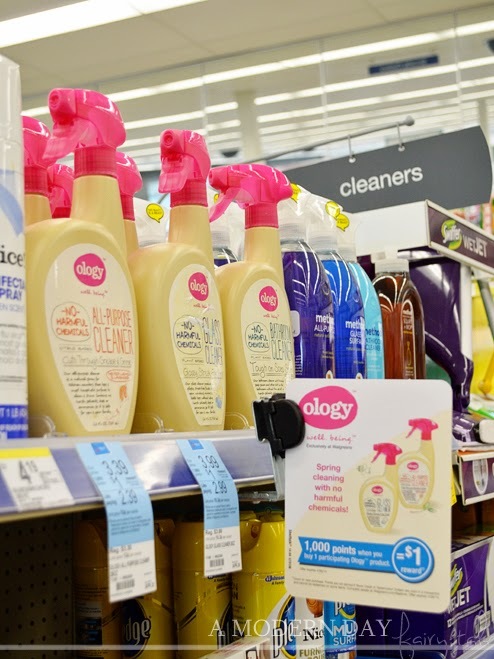 From cleaning to bath to paper products and everything in between, Ology truly does offer everything my family needs to create a healthier home for my family and my children. If all of us takes the time and effort to change out even one of these area of our home to more earth-friendly options like Ology, imagine the impact it could make on our future generations. My son is a huge fan of the movie Wall-E. It's a fun film for kids, but it also has a great message. Do we want our future generations to live in a world that is so riddled with garbage that it is unsustainable? Do we want them to be cleaning up OUR messes and dealing with the results of the chemicals and garbage we left behind? Or would we rather take a look at what WE can do right NOW to make their future world healthier and better. On this Earth Day, I encourage all of you to take a look around you and see what changes you can make for a greater future for our children and environment. What are you doing to celebrate Earth Day? What changes have you or will you make to leave behind a better world for our children and grandchildren? 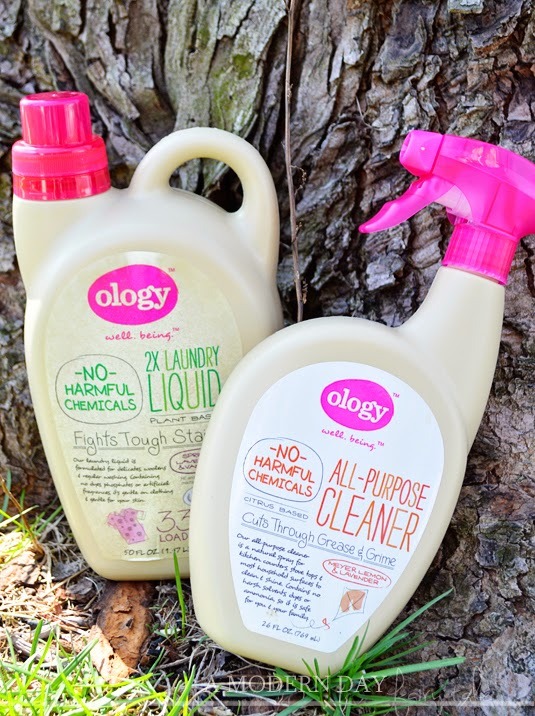 Which Ology products would make the greatest impact on your healthy home? I'm going to look into buying these earth friendly products. Thank you.